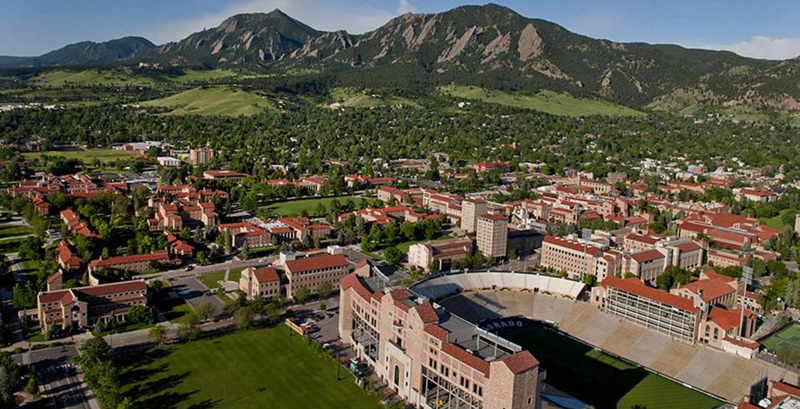 If you aren't from Colorado, when you think of Boulder you think of Pearl Street and the Flatirons. 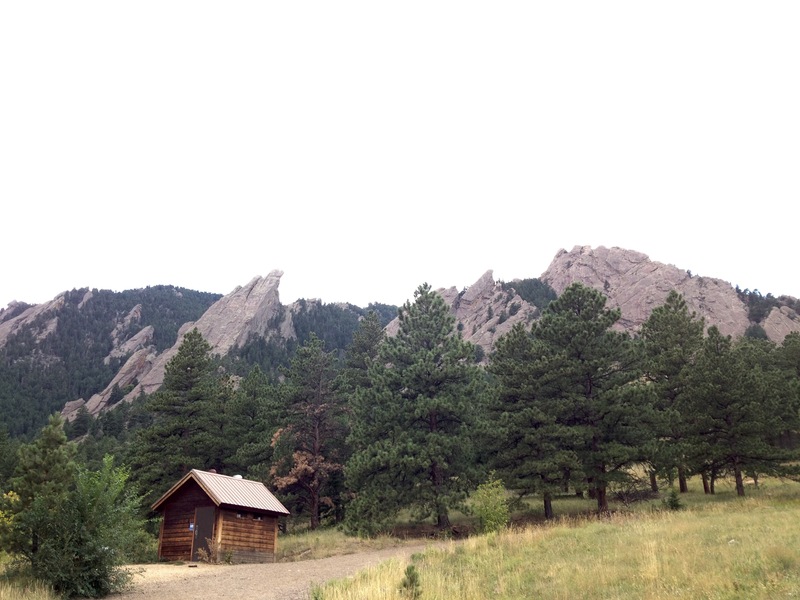 The Flatirons make up the east slope of the Green Mountains and are located just west and a smidge south of the city. The conglomeratic sandstone was lifted and tilted to form the iconic shapes that some say looks like a turn-of-the-century flatiron. While all of the flatirons have names today, the first five, from north to south, are simply called First Flatiron, Second..., and so forth. 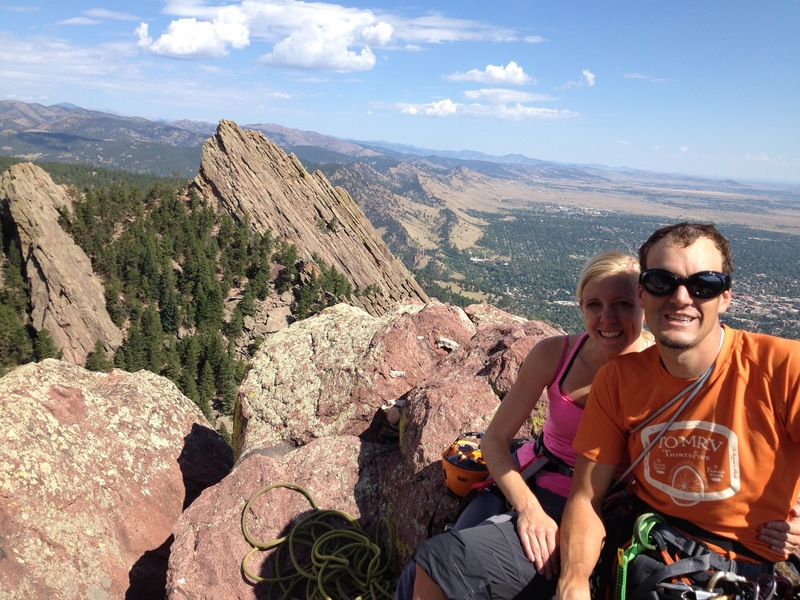 Today, we climbed the Third Flatiron. 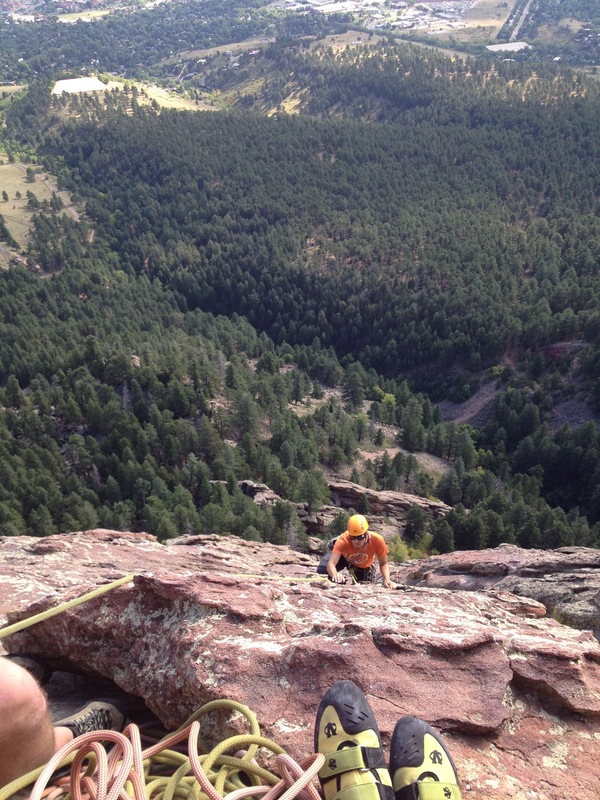 Our friend Amos, hosted Josh and I to simul climb this route while his wife Molly spent the morning with our kids. 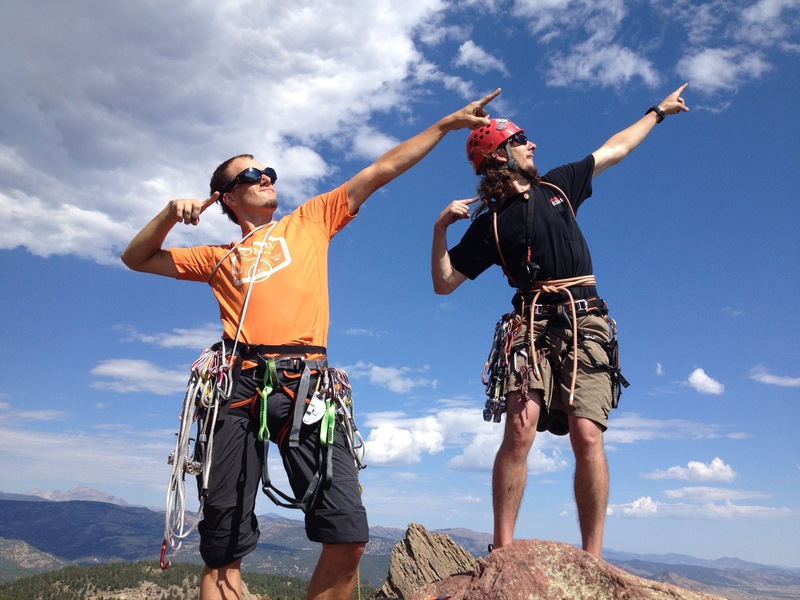 We did the Standard East Route, which is considered a great beginner trad route, ranked between 5.0 and 5.4. 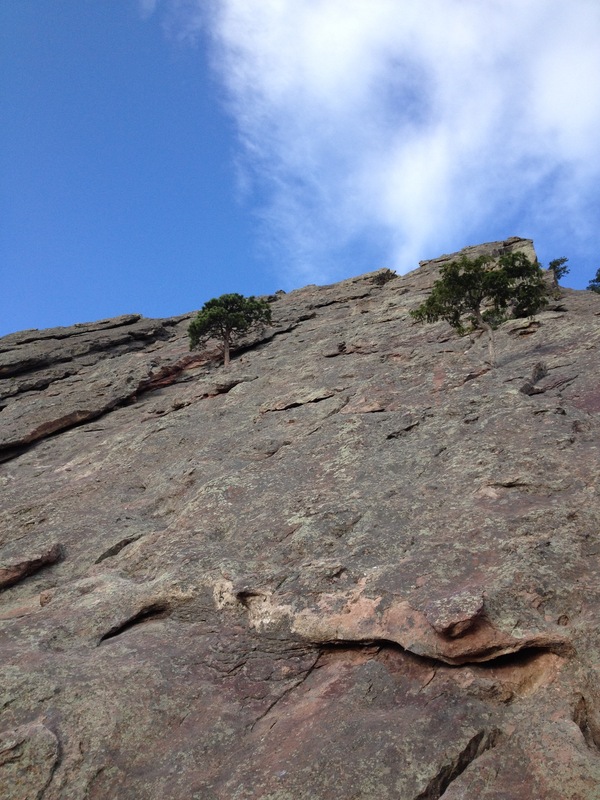 The route is so "easy" that someone has solo climbed (meaning climbed without ropes) the entire 1,200 foot face in an impressive 5 minutes and 59 seconds. There is about a mile hike to the a good starting point for the route and the route itself is normally done in 8 pitches. Amos thought it could be climbed with a longer rope and in 4 pitches, so we went for it! As you can tell it was an absolutely gorgeous day to be out and climbing. Amos did a wonderful job lead climbing and because of how "easy" the route is, he had no trouble belaying both Josh and I coming up at the same time. It truly felt like scrambling up a steep incline, but I was thankful for the rope's protection, I'm cautious like that, :)! Standing on the top of the flatiron was beautiful. 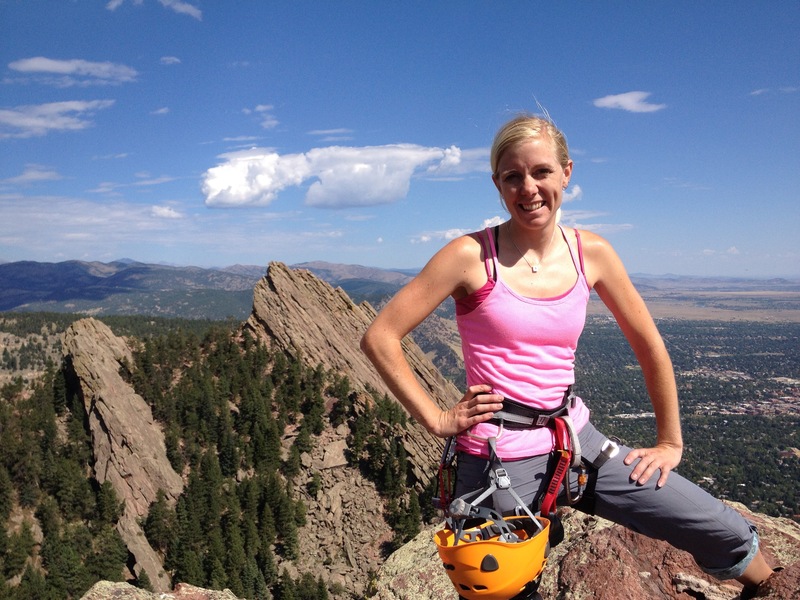 If it wasn't for the fact that I could see the First and Second Flatirons behind me, knowing I was on top of a similar point, I wouldn't have been able to fully grasp the depth of the experience. 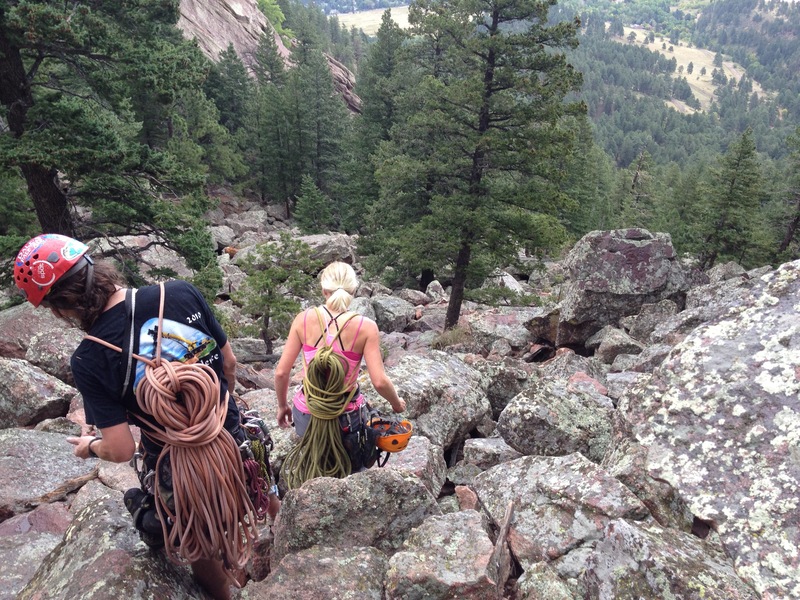 It was when we were restacking the rope in order to begin the 3 rappels down the backside of the flatiron when my bad ankle starting hurting terribly. I commented to Amos, "Man! Either I tweaked my ankle something fierce climbing up or it's going to rain!" But, look at those above pictures. With a 360 view of happy little clouds, it certainly didn't look like rain, so I must've hurt it climbing. Halfway down the first rappel, clouds rolled in speedily and covered the sky, and then the rains came pouring down. The beauty of a healed broken bone to detect pressure changes in weather! Once we were done rappeling, of course, and hiking down the boulder fields the rainstorm had moved on, though clouds remained. 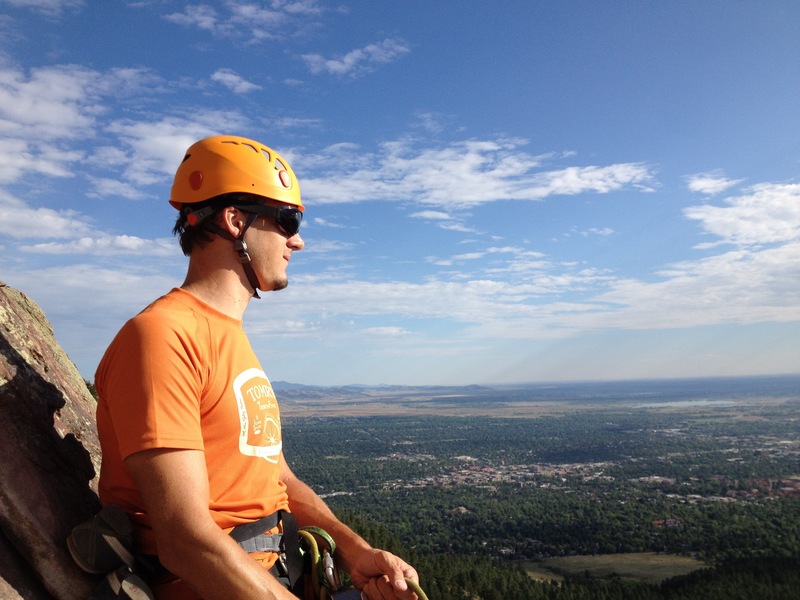 I feel incredibly fortunate to have a husband and friends who like adventurous sports, rock climbing, alpine skiing, mountain biking, etc, and they do so with the utmost skill and concern for safety. 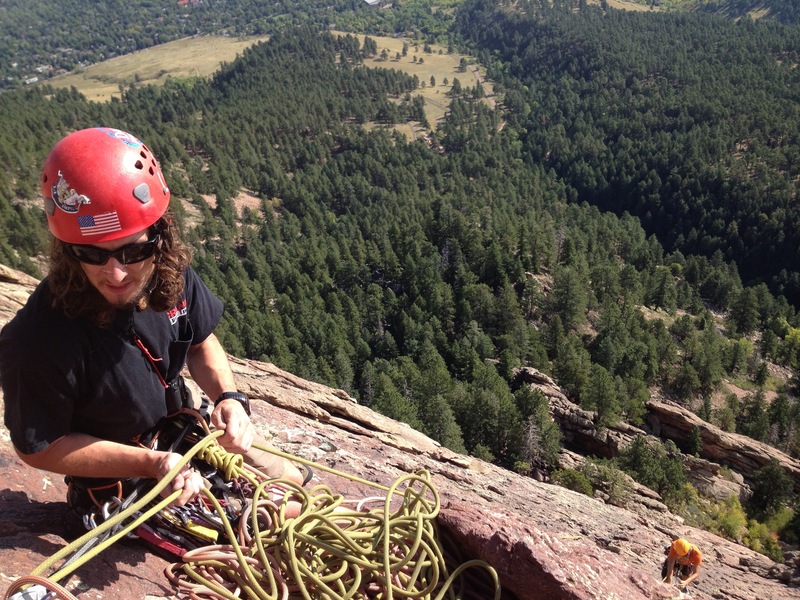 We wouldn't do these adventures, individually or as a family, if the risks were too extreme. You will never see us base jumping (or even sky diving) because the possibility of failure is too great from our perspective. I am thankful that while doing these adventurous sports, my husband and friends teach me how to be safer, look for warning signs, always double check, and make wise decisions when problems arise. 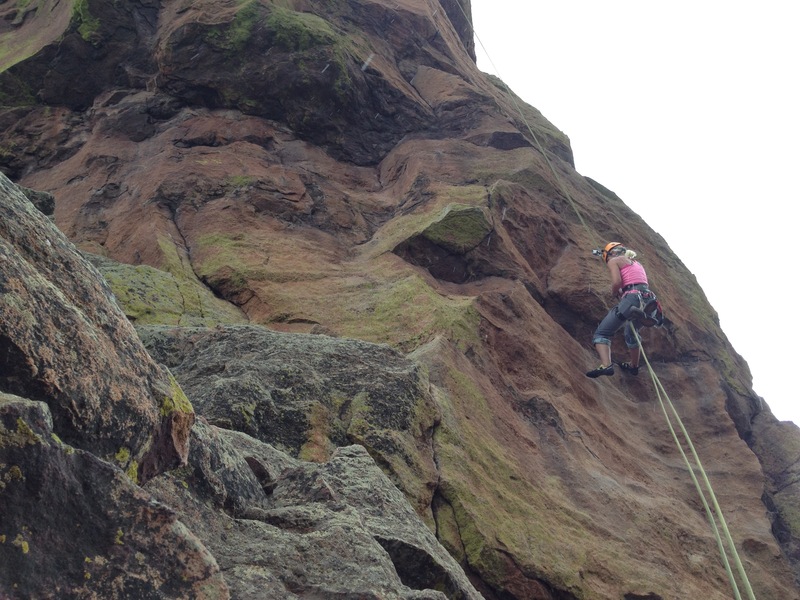 However, like last year I was in a situation where I made a dumb move while belaying someone. Thankfully, everyone was safe. It was a rookie mistake and I know I am smarter than that. Because of it though, I have strongly learned my lesson and am a safer belayer because of it. Or, I can look back at other moments, like Josh's close call on Porcupine Rim, and so forth, where once again, I am so thankful it was a redeemable reminder to be paying attention, to not take situations for granted and become complacent. This is also a lesson we have also learned from friends' experiences (like this story I just read that involved a friend of Josh's) and it is a lesson we have learned countless times since (Wait till I get to the story where we truly deserved a sarcastic "Parents of the Year" award.) and one we continue to learn to this day (Did you hear about me sliding to my death on Flattop a couple months ago?). Hmmm... maybe I should learn how to knit again, :)! *This photo was all over online and I am unsure who took it, but it wasn't me. 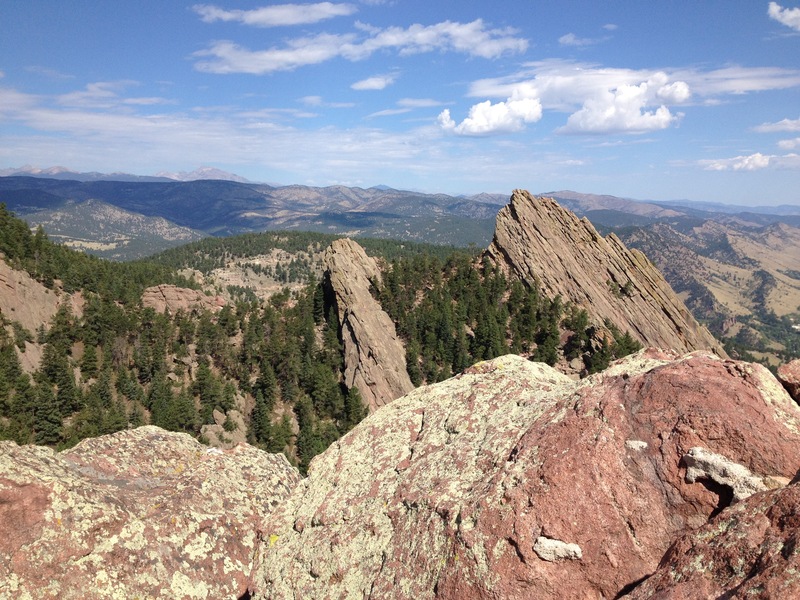 Photo credit: Google Search: "bird's eye view flatirons" to find original photographer. I love hearing about your amazing adventures! And I'm glad you're safe!